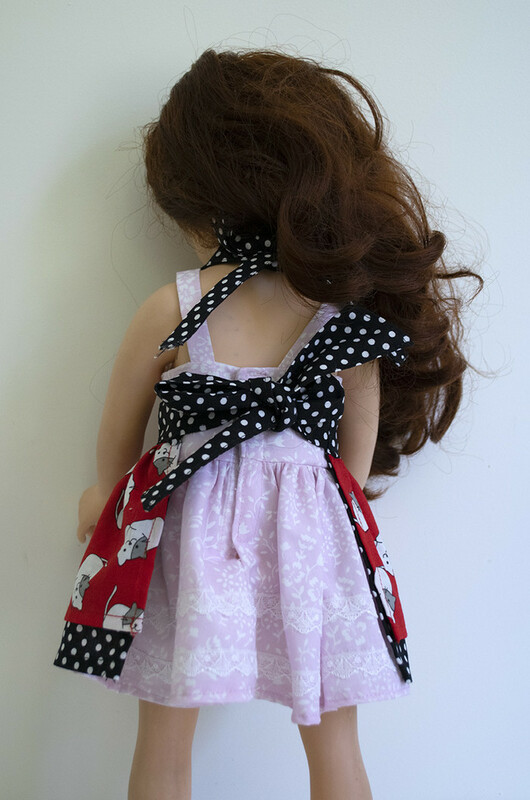 This cute apron has a double layer gathered skirt. 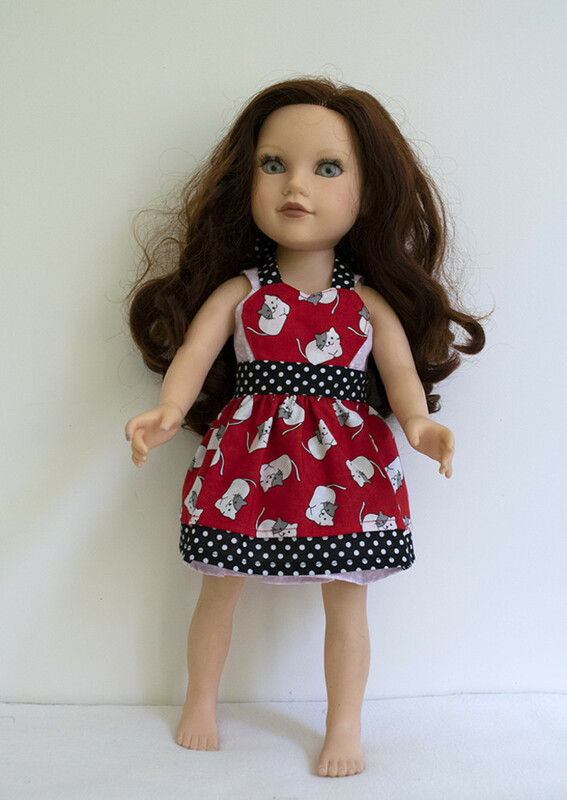 The underneath layer is a black cotton with white polka dots which is also used for the waist and neck ties. 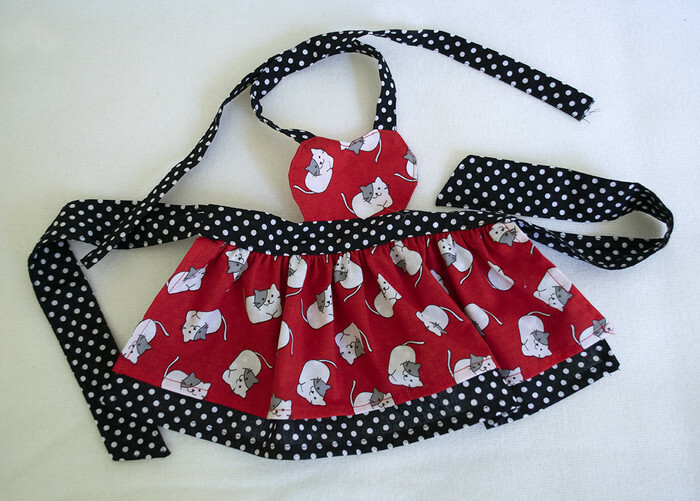 The top layer is red with cute grey and white cat print and this is also used for the heart shaped bib of the apron. 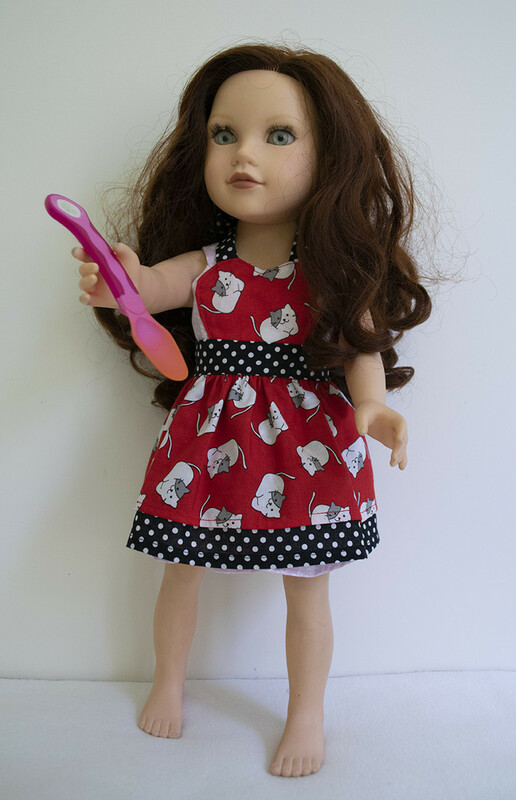 Each waist tie is approximately 26cms long and the neck ties are approximately 29cms long so the apron will fit a variety of dolls and some teddy bears.